We are leading western suburbs skip bin hire company and we are here to help. Undertaking a construction project can be a complicated process. There are a lot of moving parts to think about and small details sometimes get left for last. One of the most important aspects of any construction process is waste disposal. Get organized before the project begins and arrange for a skip bin. If you’re new to the construction world or have never used skip bin hire in the western suburbs as an option for rubbish disposal, then you’ll want to learn a bit more about what it entails. Skip Bin Size: after you’ve identified what type or types of waste you’ll need removed, your next step is to determine just how much rubbish you’ll be accumulating. Skin bin hires come in various sizes. You can hire skip bins ranging from 4 to 20 cubic meters. There are even walk-in bins available for optimal convenience during removal. Permit: if you’re planning to hire a larger skip bin but don’t have enough space to plant the bin in your driveway, you’ll need a permit. Big Bin Hire will arrange a permit for you at no extra charge. All you’ll pay is your local Council’s set permit fee. Most councils issue permits for 3 days at a time, so plan accordingly. Skip bin hire permits vary by Council. Length of Hire: now that you know more about possible permits, you can plan the length of your skip bin hire. Standard hires range from 1 to 5 days. If your project is extra large and you need a longer hire, Big Bin Hire will work with you on an individual basis to see how we can accommodate your needs. Once you have considered the details of arranging a skin bin hire in the western suburbs, you can begin allocating your budget. Everyone is looking to find a cheap skip bin hire these days, which is why we at Big Bin Hire do all we can to keep the prices as low as possible. 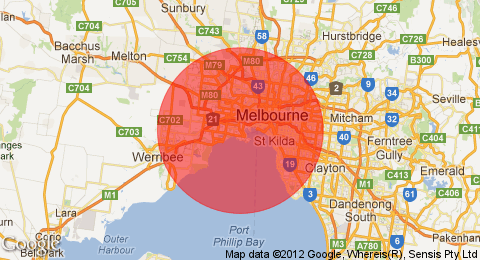 Our Melbourne skip bin hire prices begin at $300 for a household waste bin. All prices for our skip bin hires are flat fees and there are no hidden service charges! Items like mattresses and tyres warrant an extra fee, so make sure to inquire about any additional charges or penalties when you’re hiring your skip bin. Big Bin Hire makes everything clear up front. So, as long as you don’t add any waste types that weren’t discussed or overflow your bin, you shouldn’t pay anything more than what you’re quoted upon hiring your bin. You may be thinking to yourself that this process seems a bit complicated to get rid of rubbish. Once your project is underway, the value of skip bin hire will reveal itself. Any construction project taking place on your property is sure to shake things up around home. Having clutter from construction strewn around the outside or inside of your home can be stressful. Add that to the energy and effort going into the project itself and you can become overwhelmed quickly. Hiring a skip bin is a simple and logical way to ensure that the rubbish clutter that builds up hour after hour during construction is kept in one designated and contained area. Deciding to undertake rubbish removal on your own during home construction may seem like a small task. The reality is that it can quickly turn into a time-eater that doesn’t leave you with much extra money for last minute tweaks or updates on the actual project. Imagine the two scenarios. You can hire an appropriate vehicle to make a bunch of trips back and forth to the dump yourself. Or, you can hire a skip bin and let Big Bin Hire take care of the heavy labor. Safety comes first. With a skip bin hire, you ensure that the worksite remains safe for workers, visitors, and your family throughout the construction process. Hazardous materials can be immediately transported to the skip bin to prevent any accidents. It’s important to keep the environment in mind even if your project is small-scale. Rather than spending time researching how to engage in eco-friendly waste disposal, rely on Big Bin Hire to clean everything up and send it to a licensed sorting facility. At the end of the day, hiring a skip bin will bring you peace of mind during your project. The process of hiring a skip bin is easy, waste removal is efficient, and you can focus on other aspects of your project. If you feel like you fall within the Big Bin Hire range but don’t see your area listed, give us a call at 1300 224 473 or 0401 834 848 for more information.